By Victor Balasa in Freelance. Updated on September 29, 2015 . We’ve already talked about the likes of Ray Kroc, Walt Disney, Alfred Nobel, Ernest Hemmingway and Charles Dickens and how they were some of the historic freelancers who have changed the environment they were born in. They’ve outdone themselves, grown larger than life, moving and shaking the lives of milions with their inventions, business ideas and vision, through freelancing. Rather than being about business, wealth or prestige, this is about creating history by adding value to the lives of as many people as possible. 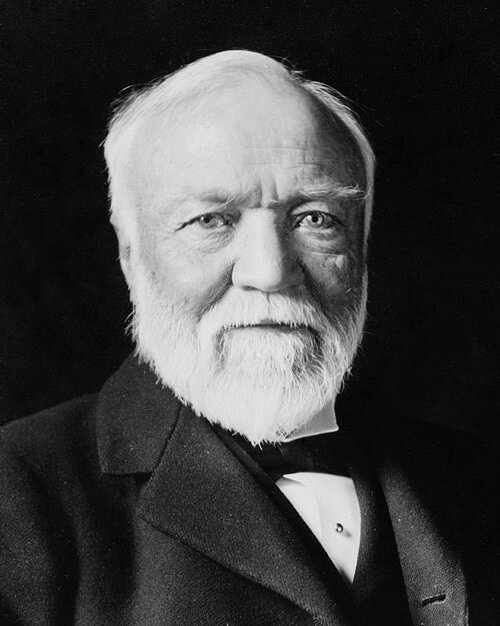 Andrew Carnegie had an inborn networking gift, which he used to create a legacy that disregards time through different businesses, dozens of libraries and powerful charities. The same can be said of Bill Gates, Aaron Montgomery Ward and Sam Walton. To these men, being a freelancer means more than being self-employed. It means training your mind in self-responsibility, discipline and work ethic. Upon securing these qualities, you’ll be able to take responsibility for increasingly large numbers of human beings. That’s the greatest gift you can give yourself and mankind. That’s when the legacy begins. The story of Andrew Carnegie is a true "rags to riches" story if there ever was one. 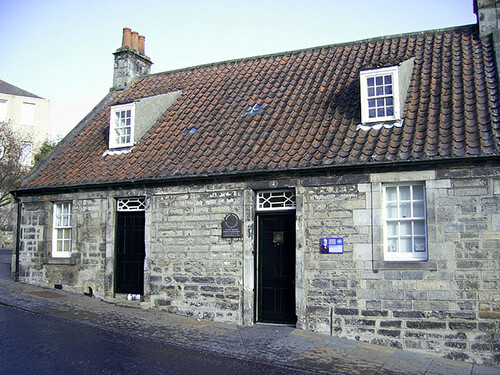 Carnegie, who was to become one of the richest men in the world, was born in Scotland in a weaver’s cottage (pictured below) with only one room. His meteoric rise almost makes you forget how slow it all began. In 1848, his family moved to America, hoping for a better life. Carnegie, age 13, ended up working as a bobbin boy, changing spools of thread for a cotton mill. The job was 12 hours a day, 6 days a week. Andrew was a freelancer, not by choice, but by circumstance. He had nothing to sell but his time, wherever he could. At 15, he became a telegraph messenger boy. In his free time, he would visit all the important Pittsburgh’s businesses, and try to make acquaintance with their owners. He’d speak to them about the other important businessmen he knew in town, and try to make connections. This "business consulting" aspect and the fact he worked harder and faster than all the telegraph boys (he was able to translate signals without having to write them down) got him a promotion as telegraph operator. He was then recruited by the Pennsylvania Railroad Company as an assistant/telegraph operator. Carnegie was 18. He quickly advanced in ranks and became friends with the president of the company, Thomas Alexander Scott. 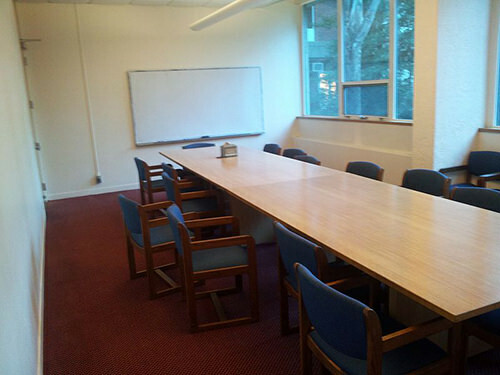 Thanks to his strong networking abilities, Carnegie was given access to the inside circle. Thomas helped him with his investments, amongst which were also shady, insider trading ones. His ability to influence people allowed him to slowly create a working capital, by investing smart and mingling with the movers and shakers. It was this same innate ability which allowed Carnegie to arrange a major business merger between Woodruff’s and Pullman’s companies, when he was only 25. "Man must have no idol and the amassing of wealth is one of the worst species of idolatry! No idol is more debasing than the worship of money! Whatever I engage in I must push inordinately; therefore should I be careful to choose that life which will be the most elevating in its character." Gates is the symbol of Microsoft, and you can’t work on a computer without using some piece of software created by him or his employees. The worldwide impact Bill Gates has is unquestionable. 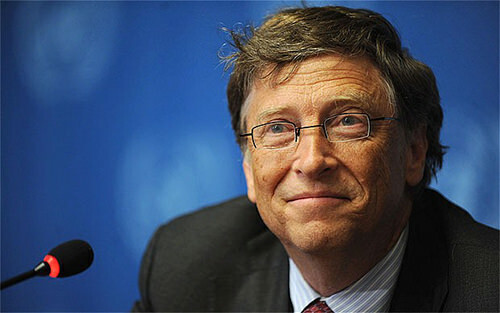 Although he was frequently listed as the richest man on Earth, Gates comes from a middle class family in Seattle. At 13, he managed to sell some of his things at the school’s rummage sale and bought himself computer time on a General Electric monster (no, there weren’t any PCs back then) and a Teletype Model 33 ASR terminal to use the machine. He taught himself BASIC and became able to program the system. He was so good at it, he and 3 friends managed to hack another such system, the PDP-10 belonging to the Computer Center Corporation (CCC), through the same terminal and obtain free computer time. When the CCC finally noticed, they banned the students from their machine. Gates offered to sell his coding expertise, and find other bugs in the CCC’s system. He would get more computer time as part of the deal. Bill Gates had officially become a coding freelancer. He went on coding as a freelancer for Information Sciences, Inc., creating a payroll program in Cobol when he was 16. At 17, he was writing the computer programs for class distribution amongst students. The same year, he and his close friend Paul Allen, created a business venture called Traf-O-Data, a real-world "traffic analytics" tool, which failed miserably. Undeterred, he and Allen contacted a major company, MITS, who at the time was producing a computer based on the Intel 8080 CPU. Gates told them they were finalizing a software capable of running on the machine. In reality, there was no software, the duo were flat out lying. Nevertheless, MITS president Ed Roberts agreed to meet them, and so they started writing the code they lied about. The meeting was a success, and Gates came up with the name "Micro-Soft" for their company. If Aaron Montgomery Ward were alive today, he’d probably be the king of sales letters. He’d also rely heavily on newsletters for selling his products, seeing how he is the creator of the mail order business. Until Ward came along, nobody had thought of that. His debut into business was a modest one. He started out working at 14, stacking brick in a kiln. No glamour here. He moved on to sales, selling general items. In 1865, he became a freelance salesman, selling goods on a commission for Case and Sobin, a lamp house. Moving on to dry-goods selling for Field Palmer & Leiter in southern communities, Ward came up with the idea of direct mail sales as a means of cutting costs and making the salesmen job easier. His plans were bold. He wanted to bring manufactured products to everybody who lived in the countryside. 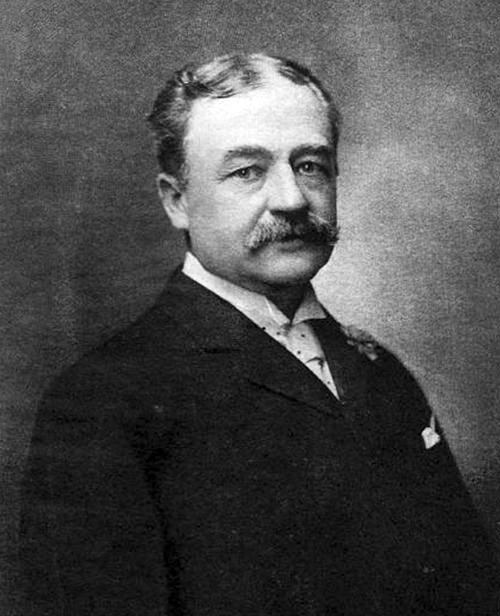 After much criticism from friends, in 1872 Ward created the world’s first general merchandise mail-order catalog with 163 products listed, writing all the copies himself. Walmart is the largest public corporation in the world, topping Shell and Exxon in 2013. It employs 2.2 million people, with a revenue of almost $500 billion. This powerhouse was started by freelancer/entrepreneur Sam Walton. Walton was born on a farm in Oklahoma. While in his teenage years, he started working in order to support his family. He would milk the family cow and deliver the milk to different customers in the area. Walton became a freelance milkman from a young age. He moved on to newspaper routes and selling of magazine subscriptions to scrape through a living, through the years of the Great Depression. In college, he worked different sales job and many unusual ones, such as waiting tables in exchange for meals. 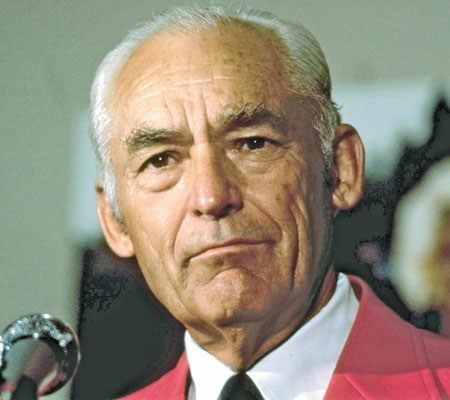 Sam Walton is the definition of a hustling freelancer. At age 26, and after taking a loan of $20,000, he bought his first retail store. After growing to a few dozen stores, he opened up the first Wal-Mart (now marketed as Walmart) branded store in 1962 and never looked back. Know of more historic freelancers who have changed the lives of millions? Share your thoughts in the comments section below.